The South Asia Agriculture and Rural Development Department of the World Bank has produced its first assessment of the livestock sector in India since 1996. 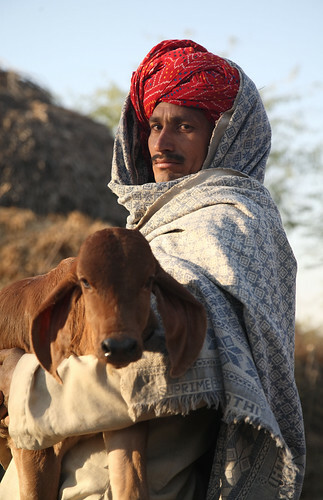 According to the report, a ‘livestock revolution’ has occurred on a large scale in India over the last couple of decades. Demand for all major livestock commodities (milk, eggs, meat) increased rapidly, leading to unprecedented growth in the livestock sector. Today the livestock sector constitutes one of the major engines of agricultural growth in the country and continues to play a central role in rural poverty reduction. With growth and opportunity however come challenges and risks. These need to be tackled to keep the momentum of progress and guide new investments and policy reforms. Some observers argue that existing production systems, support services delivery systems, and marketing systems (particularly for dairy), are ill‐equipped to meet increasing market pressures. Others are concerned that some states and population groups are missing out on the livestock revolution, perhaps as they missed out on some of the benefits of the Green Revolution before. With intensified production and proximity to large urban centers, dimensions of public health, food safety, and quality become more important, particularly with the increased risk of disease transmission from animals to humans. These questions raise the issue as to the respective roles of national and state governments, the private sector, and civil society groups faced with this changing environment. The report begins by shedding the light on the recent growth trends and the poverty reduction aspects of the livestock sector in India. It then takes an in‐depth look at some of the key focal areas listed above, including support services delivery, animal health and diseases prevention and control, marketing institutions and value chains, food safety, trade, and quality standards. The aim is to identify new opportunities, and the challenges to be addressed in order to sustain an inclusive growth momentum of the livestock sector. Chapter 1 examines the demand led transformation in the livestock sector and its increasing contribution to national output, employment and rural poverty reduction. The chapter also addresses the existing dichotomy in the level of development of the livestock sector between the leading states and the lagging states. Chapter 2 reviews the production and productivity landscape of various livestock products and examines how production is keeping up with high demand. It analyzes the growth in output and its sources, bringing out the differences among the various livestock production systems and inter‐state variability, particularly between the leading and the lagging states. Chapter 3 looks at the gamut of livestock support services—breeding, feeding, research, extension, credit, and insurance—and examines the changing roles of the public sector, private sector, and community based organizations in the provision these services. Chapter 4 examines the increased importance of emerging new trans‐boundary diseases and their related surveillance systems, control programs, in addition to the availability of veterinary services infrastructure and institutions. Chapter 5 discusses the market institutions of key livestock commodities and the evolution of their value chains, building on case studies from both leading and lagging states. Chapter 6 discusses the structure and pattern of trade of Indian livestock products and the policy environment under which it takes place. It also examines the level of external competitiveness of Indian livestock commodities vis‐a‐vis other livestock producing countries. The report doesn’t take on the subject of livestock and the environment and the direct impact of livestock production on the level of Green house gases emissions within the general framework of climate change. It was felt that this important area is worthy of a separate study in itself.